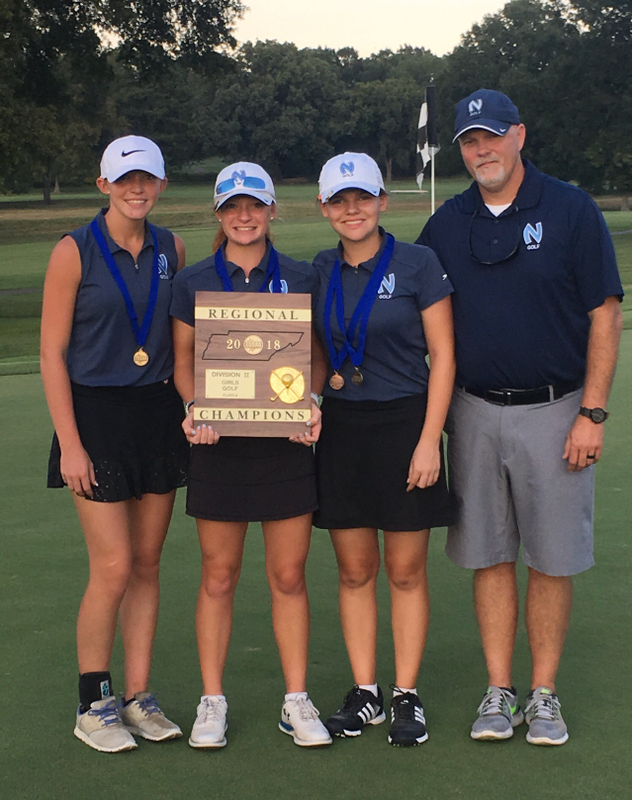 The Northpoint Lady Trojans golf team had a very successful season. Lead by sophomore Carla Kay Hickam and freshman Ella Cress the team completed regular season play 32-4, winning the Division II A regional championship with a team score of 155 qualifying the team for the state championship in Manchester Tn. The JV Team captured first place by Junior Hope Joy Owens and 2nd place by senior Meredith Lee in the 18 hole par three tournament at Windyke CC. The girls topped of their season at the state championship at Willowbrook Country Club finishing third place as a team narrowly missing second by three strokes and third place in the overall individual by Carla Kay Hickam. Very young team with a lot talent and depth of players looking forward to many years of success!